Kindergarten and Grade 2 are the two designated entry points for Hackley's Lower School. For Kindergarten each year, 32 new students are admitted, creating two classes of 16 students. In Grade 2, Hackley adds a third class with 16 new students. 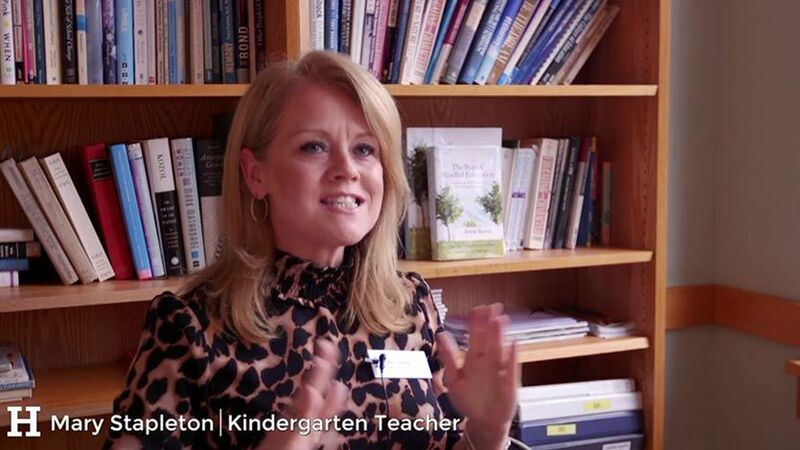 Listen to teachers in our Kindergarten and Grade 2 teams talk about their students and classrooms. Dedicated Science, Music, Physical Education, Art, Library, and Technology spaces. Lower School Garden with dedicated curriculum that supports Science and Health and Wellness curricula. Daily Physical Education, including swimming in the spring. Classes take place in the Lower School All Purpose Room as well as the new 150,000 square foot Johnson Center for Health and Wellness. 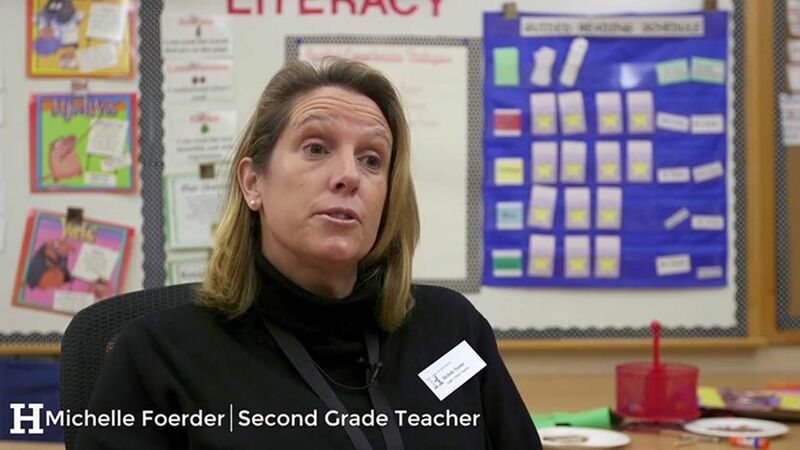 In addition, as the youngest members of our K-12 community, Kindergarteners enjoy two special programs. Each is paired with a Grade 4 buddy who serves as a mentor, partner and friend throughout the year, creating bonds that often last throughout the Hackley experience. In addition, Kindergarteners support the Upper School Advanced Forest Ecology students in their research, venturing into the woods every week with the older students in the fall and spring to help collect data on salamander transects, biodiversity, and forest regeneration. Not only does this project provide an early introduction to biology and field research, it helps Kindergarteners practice their counting and addition skills while gaining confidence in the woods and appreciation for our natural surroundings.